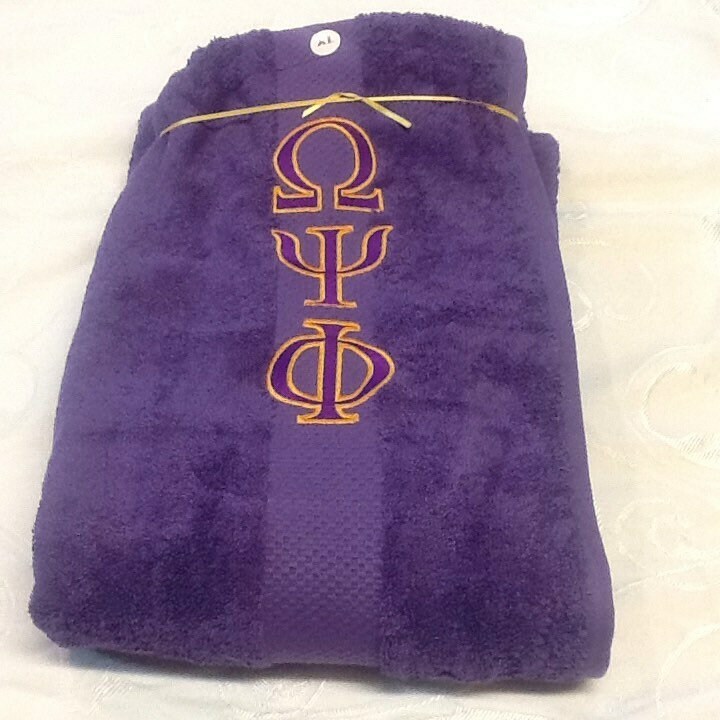 REGULAR Size is DEEP PURPLE Terry Towel Wrap: 29" long X 54" wide with 12" adjustable Velcro closure; Elastic Waist; 100% Cotton Terry Towel -- Embroidered with Greek letters vertically down the front of the wrap. Embroidery is done with Gold Polyester thread. Other Colors available: Red, White, Black, Pink, Hunter Green. 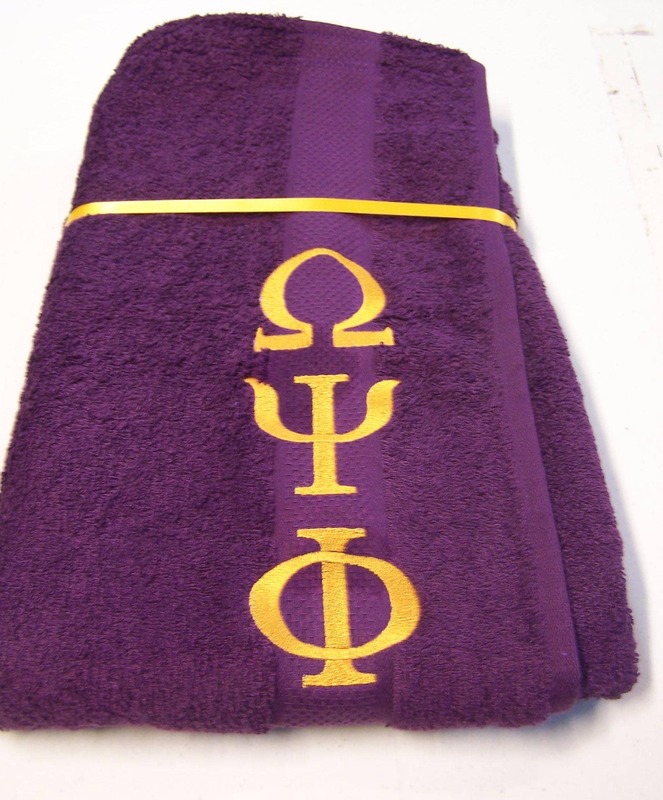 XLG Cotton Terry Towel Wrap: PURPLE W 2 COLOR EMBROIDERY (DARK PURPLE/GOLD 29" long X 64" wide with 14" adjustable Velcro closure; Elastic Waist; 100% Cotton Terry Towel -- Embroidered with Greek letters vertically down the front of the wrap. Embroidery is done with Purple and Gold Polyester thread. 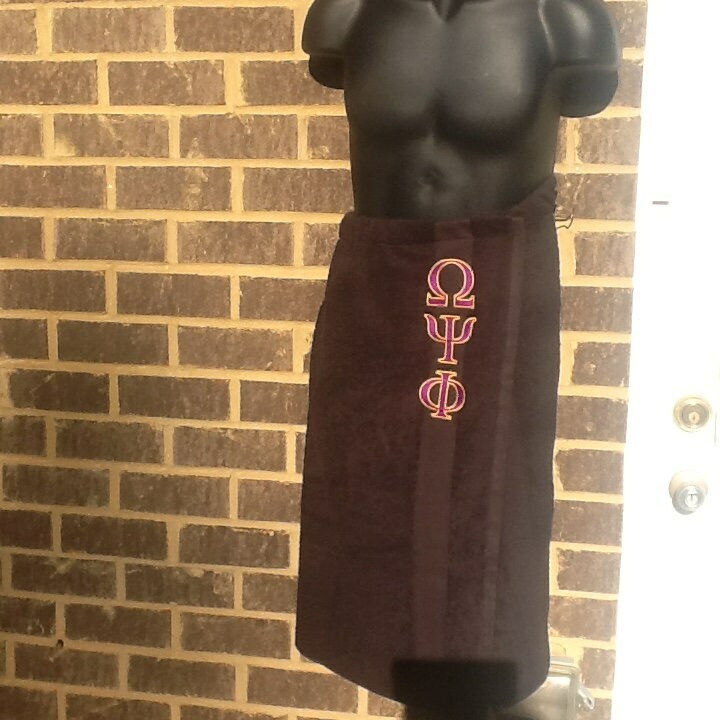 XLG Cotton Terry Wrap: BLACK w 2 COLOR EMBROIDERY (DARK PURPLE/GOLD) 29" long X 64" wide with 14" adjustable Velcro closure; Elastic Waist; 100% Cotton Terry Towel -- Embroidered with Greek letters vertically down the front of the wrap. 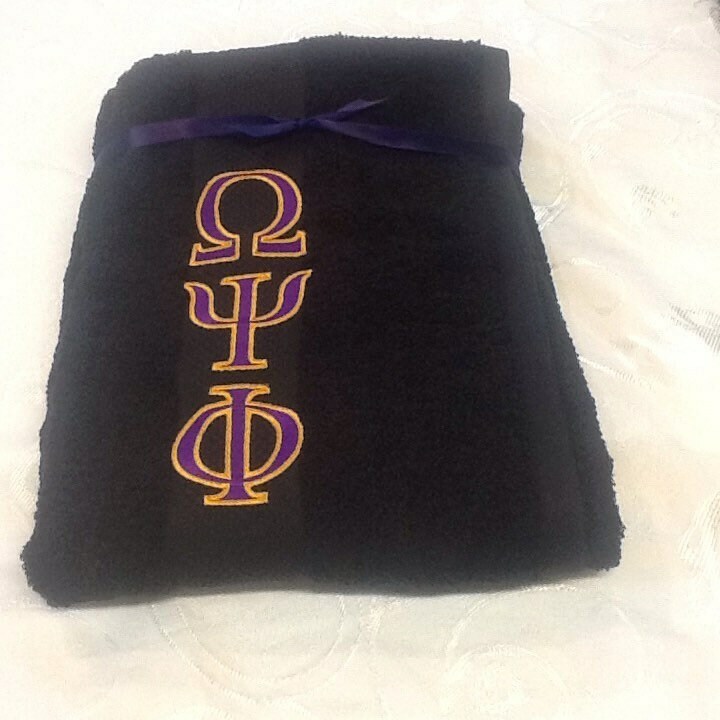 Embroidery is done with Purple and Gold Polyester thread. My husband loves this gift...great Valentine's present for my guy. Arrive fast and timely. Looks great and fits perfectly. Beautiful, bright and bold color.